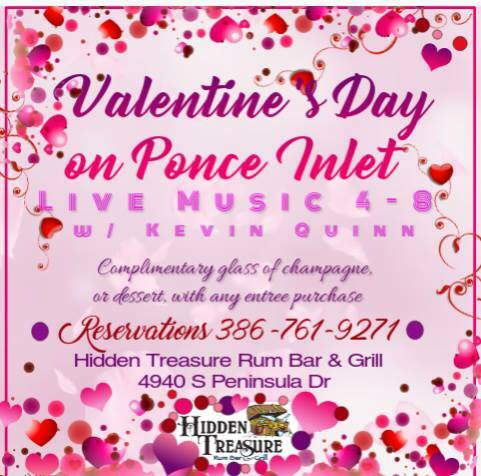 Grab your Sweetheart & join us for Valentine's on the Inlet. Llive entertainment, featuring Kevin Quinn, always a crowd favorite. Enjoy a delicious meal and ice cold drinks. Complimentary glass of Champagne, or dessert with purchase of any entree. Valentine's Day with breathtaking views!